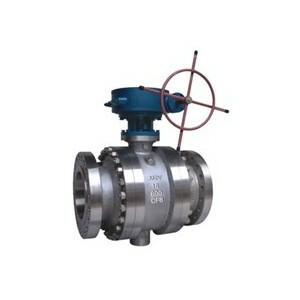 Trunnion ball valve has fiexed ball and floating seats, the ball does not move with medium pressure and the seats move with the medium pressure to tight the ball and seats to ensure sealing performance. Bearings mounted in up or down stem is help for reduce operation torque. Trunnion ball design is usually used for middle and high pressure or large size. Sangong Trunnion ball valve has fiexed ball and floating seats, the ball does not move with medium pressure and the seats move with the medium pressure to tight the ball and seats to ensure sealing performance. Bearings mounted in up or down stem is help for reduce operation torque. Trunnion ball design is usually used for middle and high pressure or large size. Both 2pcs and 3pcs body , Forged steel and Cast steel body are available for Sangong Flow Control. The ball valves with size 6”(DN150) or above are designed with sealant injection devices on stem and seat. When the stem O ring and seat ring is damaged due toaccident, the corresponding sealant can be injected by the sealant injection devices to avoid medium leakage. If necessary, the auxiliary sealing system can be used for washing and lubricating the seat. If required, this emergency sealant injection system can also be adopted for smaller size by SGV. 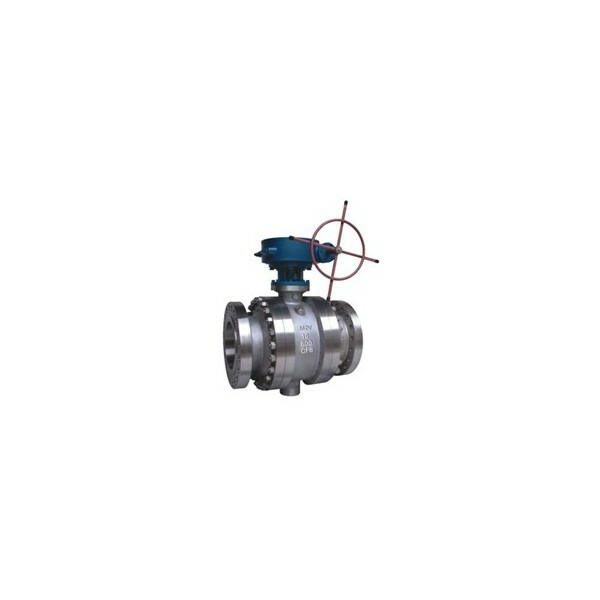 When the trunion ball valve is in closed position, each seat of the ball can cut off the medium independently both on the upstream and downstream to realize double block and bleed. The body cavity are isolated from each side of the valve, and the body cavity pressure can be released through the vent valve to ensure valve safety. In case of fire, the seat ring, stem ring, and middle flange O ring these non-metal material will be damaged under high temperature. SGV trunnion ball valve will offer you special auxiliary metal to metal or the graphite seal to prevent both internal and external leakage. © 2011 Sangong Flow Control All Rights Reserved.